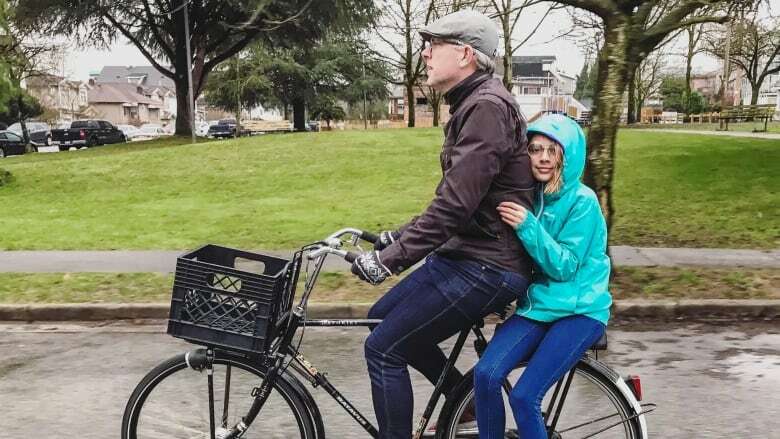 As Bike to Work Week draws an increased number of cyclists onto the streets, a Vancouver man who writes about cycling is reopening the debate about B.C. 's bike helmet laws. It's the time of year when bike routes around the province fill up with cyclists. In Vancouver, the annual Bike to Work Week draws small crowds onto popular commuting routes, with a veritable rush hour leaving riders lined up at intersections. By and large, the commuting crowd sports helmets, but you won't see a protective shell on one cyclist's head — Chris Bruntlett is the co-founder of Modacity, a company that produces media on the topic of urban transportation. He said he hasn't worn a helmet in six or seven years. "I feel safe and comfortable. I ride an upright bike so my back is straight; the risk of hitting my head is very small," said Bruntlett. British Columbia's helmet laws are fairly rare. 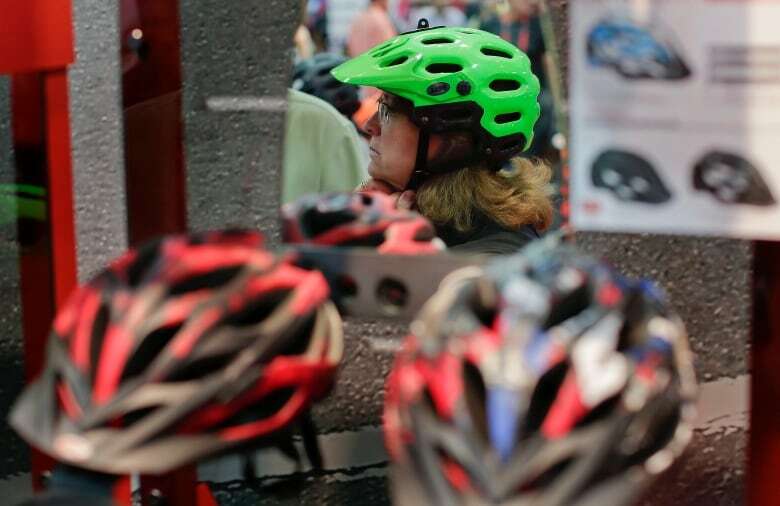 Nova Scotia also has a bicycle helmet law on the books, along with Australia and New Zealand. In Vancouver, there's a municipal bylaw requiring helmets, in addition to the provincial law, but relatively few tickets are issued each year. The Vancouver Police Department largely takes an educational approach, engaging cyclists in conversations about it and issuing warnings rather than fines in many cases. "There's several ways to achieve a goal. In the end, we want people to be safe," said VPD Const. Jason Doucette. "We want people to protect their heads and wear a helmet. It is required by law, and we hope that common sense kicks in and people start wearing their helmets." According to the VPD, only eight tickets and one warning have been handed out so far this year. Last year, there were 35 tickets issued and 56 warnings. There were 17 fines in 2016 and 26 in 2015. Doucette said those tickets are based on the city bylaw and come with a $100 fine. 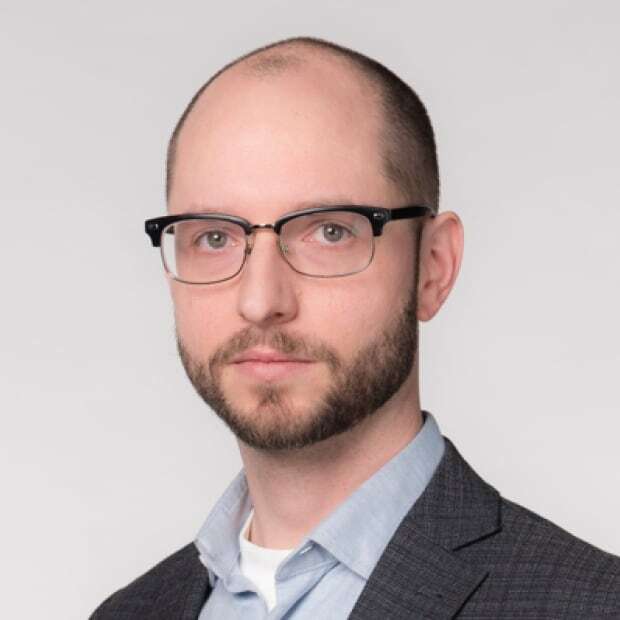 Bruntlett said it's his perception that police target busy bike routes, rather than more dangerous areas, and enforcement seems to go up during Bike to Work Week. "I don't know if it's because they have quotas to hit, or they see it as a time to get out there and educate people," he said. Doucette said there aren't quotas, and the force doesn't do helmet blitzes, but it reacts to complaints from people about specific problem areas. He said the relatively low number of tickets and busy bike routes is evidence that the laws aren't deterring people from riding bikes, but he wants to get the message out there that helmets can reduce serious head injuries. But Bruntlett isn't buying the argument. "If we were to extend this, 'if it just saves one life' mentality, people would be wearing head protection every time we get inside an automobile," he said.